Some of the biggest acts in music gathered to pay tribute to an icon last night at Carnegie Hall, where the first “Music Of David Bowie” memorial concert was held. 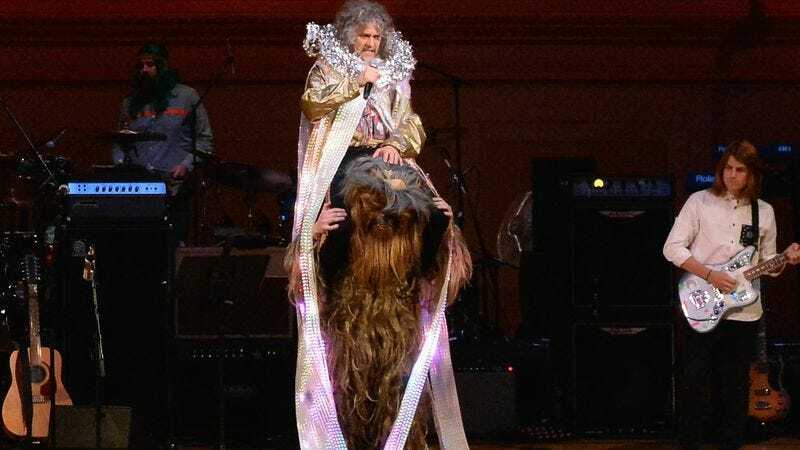 The first night of the two-day tribute saw performances from The Flaming Lips, Pixies, Cat Power, The Mountain Goats, among other influential rockers. Cyndi Lauper and Bowie collaborator Tony Visconti kicked the night off with “Suffragette City”. Michael Stipe, who performed a haunting cover of “The Man Who Sold The World” on The Tonight Show earlier this week, continued his Bowie homage with an “Ashes To Ashes” duet with Karen Elson, while former Bowie tourmate Debbie Harry did the “Starman” honors. J. Mascis and Sean Lennon teamed up for “Quicksand,” while Robyn Hitchcock joined The Mountain Goats for “Word On A Wing”. Choir! Choir! Choir! led a massive sing-along of “Space Oddity,” and Cat Power performed “Five Years” with some backup. Night two of the tribute will feature performances by Blondie, Polyphonic Spree, Perry Farrell, Mumford & Sons, and several of last night’s artists as well.